If you read a lot, you know all about pinch points. They are those when things are just cruising along and then a story breaks and you stop and mutter “stuff’s getting real now!” You recognize them if you didn’t realize they had a specific name. They are pivotal moments in story structure but, to be honest, I’ve never really investigated them much. I don’t outline (although I’ve decided to give it a whirl in the near future) so my writing is much more organic…when things get slow or calm, I throw something at my characters to make them scurry around again. Do you use pinch points in your writing? If so, do you plan them at specific times or just as it feels appropriate for your characters? Joining in my first Top Ten Tuesday, created by the awesome folks over at Broke and Bookish . 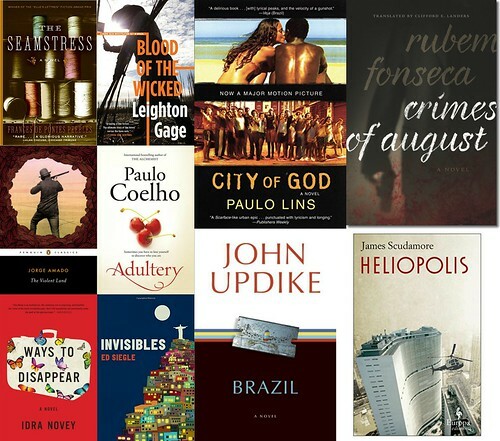 With the Olympics on everyone’s mind, I decided to do a “Top Ten Books in Rio”. I hope you find a few new titles to add to your TBR pile!